Pay as little as $170 for 6 months* when choosing PayPal Credit at checkout! Our Slimline Duals give you increased torque and horsepower over stock pipes. 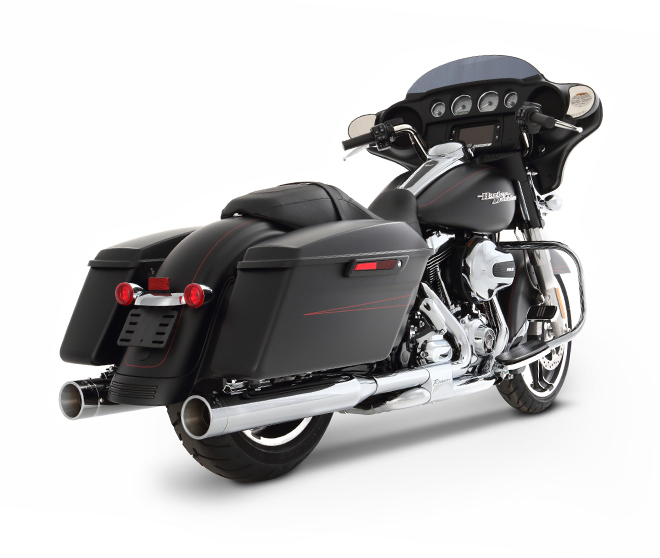 Customize your motorcycle with your choice of chrome or black headers, chrome or black Rinehart Racing Slip-On Slimline mufflers and chrome or black end caps. 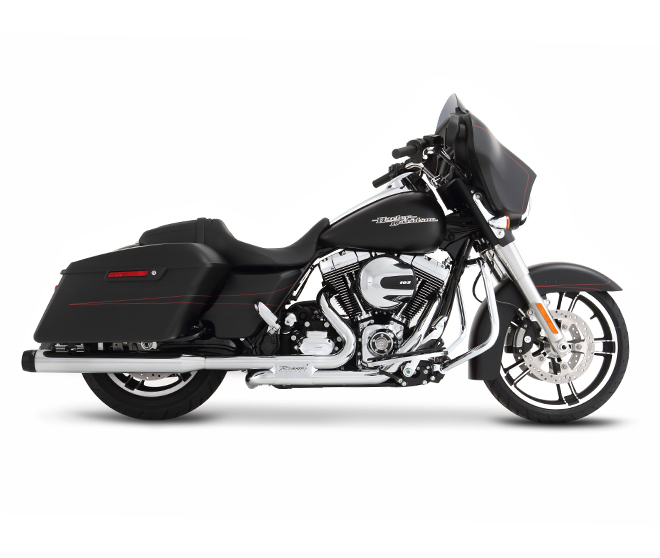 Our Slimline Duals this exhaust features a Rinehart Racing Laser Cut Heat Shield. 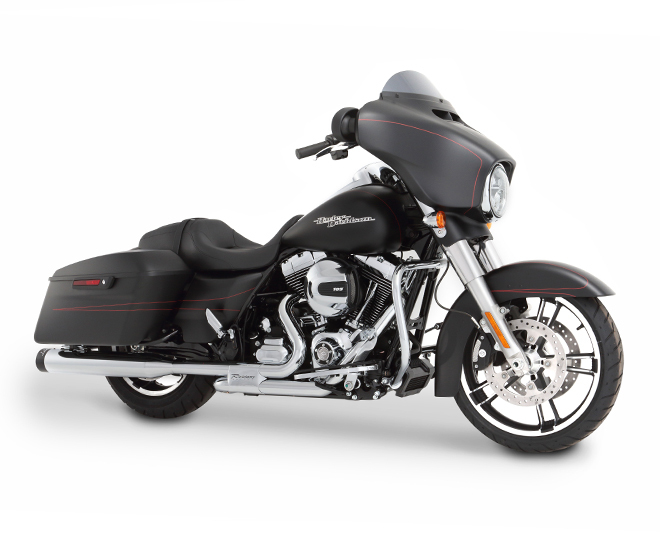 Rinehart exhausts deliver the distinctive Rinehart sound, sleek design, and proven performance that are the staple of our premium custom Harley-Davidson® aftermarket exhausts.